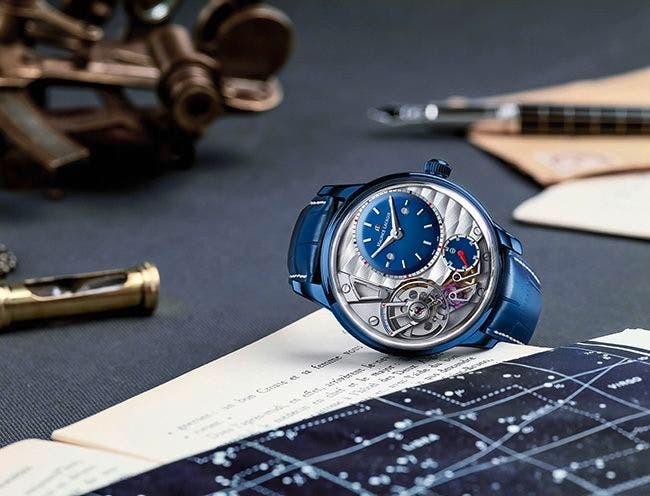 The Masterpiece Gravity “Only Watch 2015” from Maurice Lacroix is a unique piece that has been specially created for the 6th Edition of the Only Watch Auction. After travelling aroud the world – Monaco, Hong Kong, Pékin, New York London and Geneva – the auction took place in Geneva on Saturday, the 7th of November. Bidders from all around the globe could connect and bid live for one of the 44 lots.